Get that base grind dialed, the FWT just announced the five stops on its 2016 schedule. 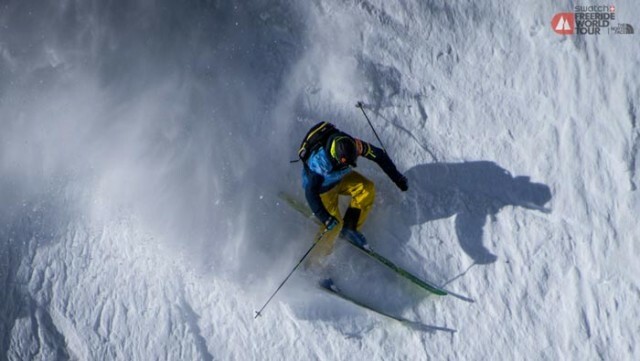 PHOTO: Freeride World Tour/David Carlier. The Freeride World Tour announced its 2016 schedule this week, tapping four European venues and one North American for the upcoming competition season. The venues—Chamonix-Mont Blanc, Verbier, Andorra’s Valnord Alcaris, Austria’s Fieberbrunn Kitzbüheler Alpen, and Haines, Alaska—are the same as last year, but after the avalanche cancellation at the 2015 Fieberbrunn Kitzbüheler Alpen stop, FWT officials have elected to start the season in Andorra, placing the Austrian stop in the third competition slot. Overall, the surprise here is the lack of surprises in this year’s lineup. Despite moving the Fieberbrunn stop twice last year due to snow-safety issues, big mountain freeskiing’s best athletes will return to Austria for another go around. Additionally, Valnord Alcaris and Haines—both first-time events—will return for a second installment in 2016. Last year, in addition to hosting the rescheduled Fieberbrunn event, Valnord Alcaris was home to some of the most memorable runs of 2015, including a Sam Smoothy gem that will go down in FWT lore for years to come. Haines was a big addition for 2015, bringing competitive freeskiing to North America’s heli skiing hot spot for the first time. It was also a logistical behemoth, as the FWT helicoptered an entire production team into the temperamental Chilkat Range in the throes of March. The event went off after several weather delays and was enough of a success to return in 2016. But it is also the only North American event on the 2016 docket, meaning that, once again, Canada and the Lower 48 will be without a marquee big mountain event next season. The last time Canada hosted a FWT stop was at Revelstoke in 2014, an event that was eventually cancelled due to avalanche danger. The Lower 48 has yet to host a modern FWT event, despite laying claim to two of the last three Tour champions, Drew Tabke in 2013 and George Rodney last season.